Nope, you’re not trippin. 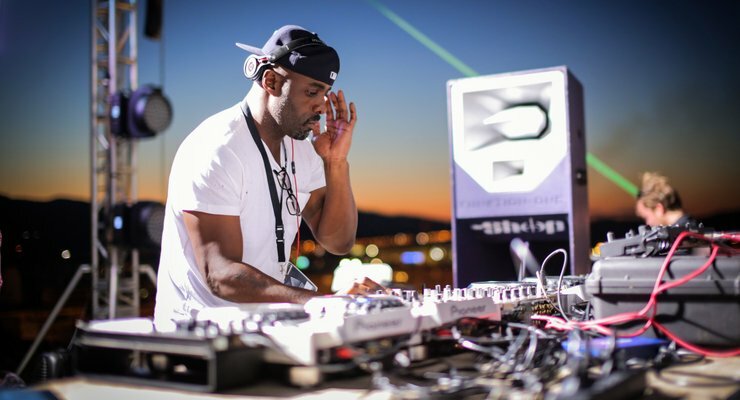 That really is Idris Elba behind that decks. When not acting, performing or generally just being so damn fine it’s distracting, he can also be found djing under the name DRIIS.